Horbury says Lynk & CO design is intended to look "Northern European." Peter Horbury has worked on countless projects during his 40-plus years as a car designer but he says his most recent undertaking – bringing Geely's Lynk & CO to life – was both "incredibly challenging" and "truly unique." Horbury and his team decided that Lynk & CO's first model, the 01 SUV, should combine the linear look of a Jeep with the sculpted, sporty features of a Porsche. They liked the result so much that they will extend what Horbury calls "the best of both worlds" to Lynk & CO's entire range. 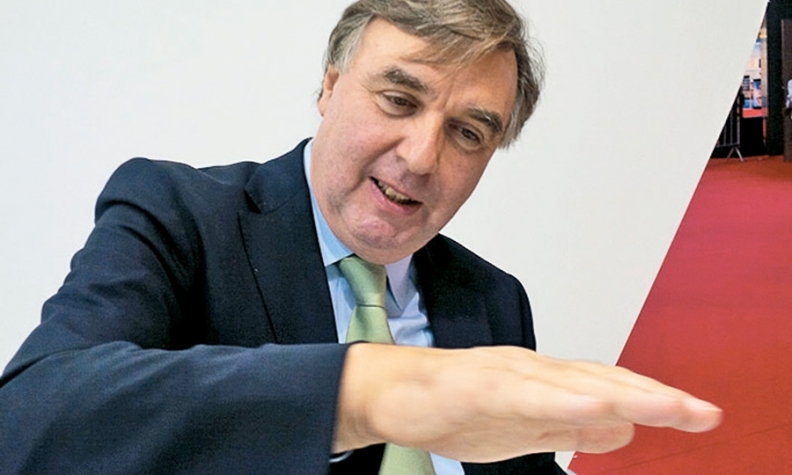 Horbury, who has been Geely's head of design since 2011 after holding top jobs with Volvo and Ford's Premier Automotive Group, recently met with Automotive News Europe Editor Luca Ciferri. How would you describe the Lynk & CO project? Incredibly challenging and a truly unique opportunity. Designers always say they start from a clean sheet of paper, but it is never truly like that because they have references in the family, in the history of the brand and in the previous models. Here it was truly a clean sheet of paper. What was the brief for Lynk & CO? The new range should be design driven, look Northern European, stand out and be led by a compact SUV. Instead of looking at a specific brand we tried to combine the two predominant looks found in SUVs. There's a very linear, more constructed look, think of Jeeps and Land Rovers. Then there is the completely organic, sculpted, sporty look like Porsche and Infiniti. We tried to get the best of both worlds in one design language and we've got something new. We also felt that the combination of those two design languages could serve us on the whole range of cars. How do you divide your time between Geely, Lynk & CO and Volvo? I don’t touch Volvo at all, I have enough on my plate with Geely in China and the Lynk & CO cars here in Europe. My family is in Gothenburg, where I live. I spend one week a month in Shanghai, developing about 30 new projects at the same time. Main Challenge: Nurturing a new generation of designers at Geely and Lynk & CO.
Lynk & CO plans to start European sales of its first model -- the 01 compact crossover developed with Volvo -- in late 2018. 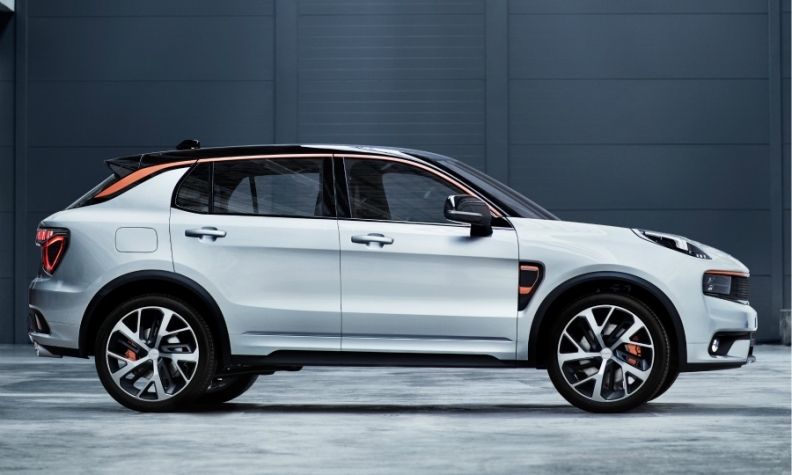 Since you don't work directly with Volvo anymore, how did you make sure that the Lynk & CO 01 compact SUV wouldn't look too much like its Volvo sister model, the XC40? [Zhejiang Geely Holding and Volvo Chairman] Li Shufu and [Volvo CEO] Hakan Samuelsson saw both ranges regularly. We invited Hakan at an early stage saying, "Look, you better come down and see what we're doing." He was delighted and he reassured us that what we were doing was nothing like what Volvo was doing. How many people do you lead? About 400. That includes roughly 170 each at Geely in Shanghai and at Lynk & CO in Gothenburg. Then we have smaller satellite studios in Barcelona and Los Angeles to create advanced ideas for the two brands as well as the London Taxi Company [which is also owned by Zhejiang Geely Holding]. As I head toward the finale of my career, after 42 years in car design, I need to make sure that people are there to continue the work and I have to give them more and more responsibility to do that. The key is to create the best teams possible and give them the mandate to get on with the job. I set the vision and I don't micromanage, I don't over-control. A good design director should not be a design dictator. I'm not the source of all ideas. But as I'm going to be held responsible at the end of the day, I need to see what we're doing. Lynk & CO models should appeal to Chinese and European customers. What are the main differences? A strong and distinctive face is more important for the Chinese consumer than for a European one. For example, we put the daytime running lights on the top of the fender and we kept headlamps in the grille, but hidden. The wheels are large, the overhangs are short, the entire profile is streamlined. Thanks to design, the model's perceived value is well above its price. Could you sum up Lynk & CO's design in a few words? Bold and attractive, but uncomplicated. Uncomplicated? What about the color inserts on the side and front, isn't that purely decoration? Chinese customers want to show off. I'm convinced that that these color inserts are much better looking than tons of chrome.